Bringing the essence of the kitchen to each table, chefs will serve, describe and answer diner's questions, creating an authentic experience for each customer while placing emphasis on the process behind transitioning food to plate. Similar to dining at a chef's table, diners will be able to connect with the local and global inspiration and experience of each chef and behind every dish, in an upscale, casually elegant atmosphere, complimented by a thoughtful international wine list. Everything was perfect with the exception of the temperature. Second time there and that stands out as a highlight both times. Unnecessarily cold! The Pass was an absolutely incredible experience. The restaurant is gorgeous to begin with. Our waiter was so knowledgeable, service was helpful and friendly from other staff, the food was indescribable. Would recommend to anyone looking to have a truly decadent night. Ideal for a special event; service is impeccable. The vegetarian menu is as interesting as the meat and fish. Very interesting place and the service was excellent. I will definitely return when the menu changes. Exceptional service! Dinner and presentation of entrees was well thought out. Staff was friendly and sincere. Amazing.....definitely among (if not the best) fine dining in Houston. Hard to think of anywhere that has the ambience, service and incredibly creative, beautiful food. Always my pick for a special night!! Fantastic tasting menu. Highlight was the avocado mousse with smoked trout roe. Pairings were spot on and interesting. The only slight miss was the wagyu main being strangely tough. Overall wonderful experience. Clearly the best restaurant in Houston. I recently moved from New York to Houston. If the Pass opened in New York, it would be impossible to get a table, it would be fully booked. And the cost of the dinner would be twice as much. We are so lucky to have the Pass here in Houston! Thanks to the kitchen and wait staff for such a great dining experience. Great ambiance and service. We had one omnivore and one vegetarian. We enjoyed the squash fondue. The sturgeon dish was odd; texture really rubbery and off-putting flavour combo with the sweet liver mousse and cabbage foam. The pasta courses from both menus were the best. There were a lot of green mousses between the 2 menus. 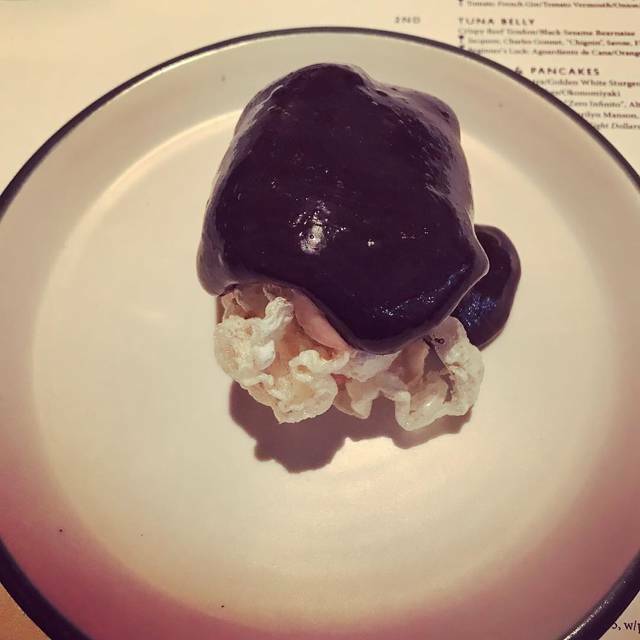 The dessert was delicious. Head waitress was pleasant but wasn’t overseeing the support staff. Pumpkins seeds were dropped on me and as one waitress served us, the “grape” rolled out of the dish and onto the table. Things were brought in the wrong order (admittedly by the support staff). Quality of the food was average. Having been to The Pass many times, I have to say that the food on this visit was the usual AWESOME! The two reasons I am giving a lower rating is because of the service. We felt rushed between our courses and to get started with our evening pre-dinner cocktails at the table. Another 5-10 minutes between each course would have made the meal more enjoyable and leisurely, we were catching up with friends. It was a Thursday night and the restaurant was not busy. There was no need to rush, especially for this type of meal. We brought our friends from Portland, Maine and they thoroughly enjoyed the experience, but we were all somewhat offended and surprised at the servers comments about Houston being 7-8 years behind the food scene in New York and how unflattering his comments were about Houston. A little too much personal sharing also. Our experience was not as professional and positive as expected and experienced on previous visits. We felt that being so openly negative about Houston and the implied lack of culinary hipness of the entire city food scene was not necessary. 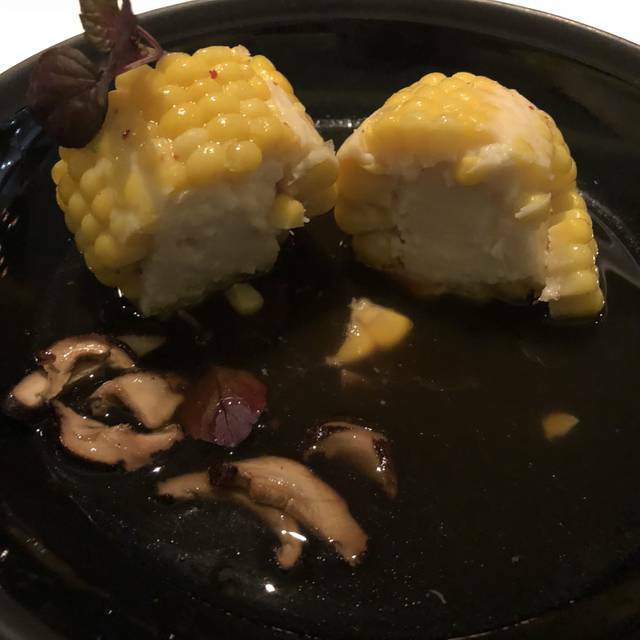 We did ask if the server knew of the restaurant Eculent in Kema, but he was uninformed about this interesting and unique Houston area dining experience! 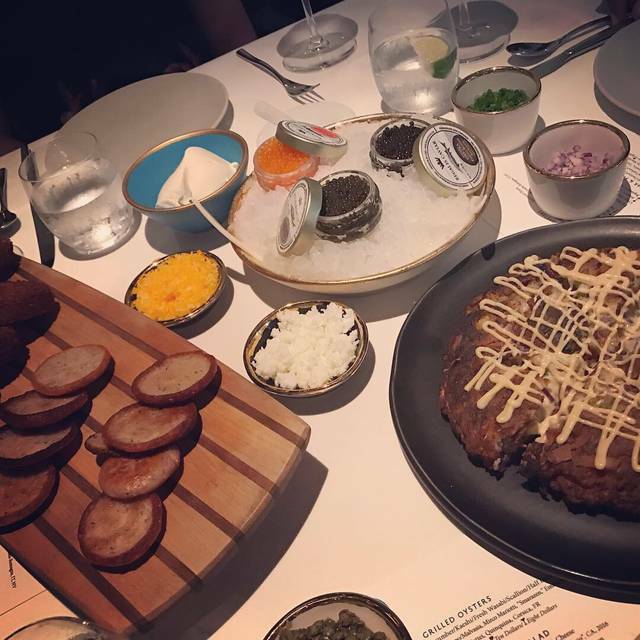 We left very satisfied and gastronomically fulfilled - despite being in Houston and apparently our presumed naivety of the current food scene in other major cities. This was my second time in the place. Same experience, outstanding. Food great, good price for the food quality, no rush, great service. Will go again soon. Sometimes as a single diner you don't get quite the same service. Not so at The Pass. I had a lovely evening with excellent, inventive food and outstanding service. Highly recommend The Pass. A smaller menu, bigger portions and a lower price - a combination that filled the restaurant! 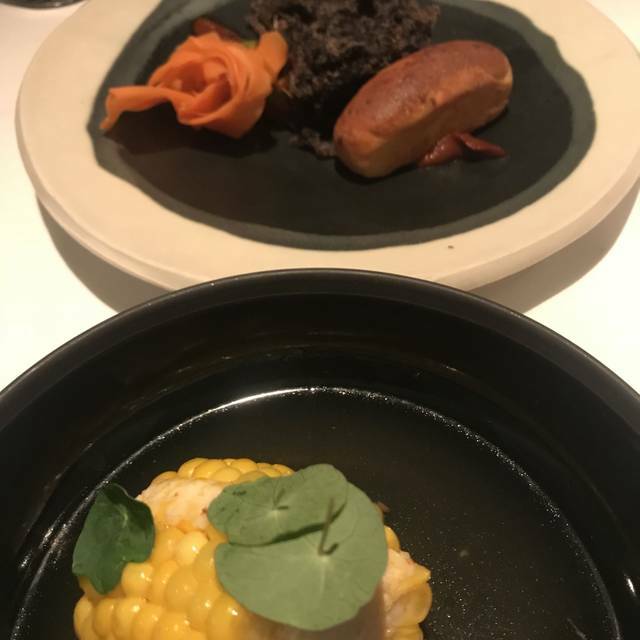 I enjoyed all of the courses, especially the pasta which was probably the best part of the meal, and the beverage pairings which featured cocktails, cider and sake. Great service and quality as ever. Ever since The Pass has opened, we go regularly to celebrate special occasions. However, the last few times we've had disappointing experiences. This time again, our food was served very fast (chucked down 5 courses in 2 hours! ), the hot dish was served too cold and the pairing wines are served like "tasting sips". 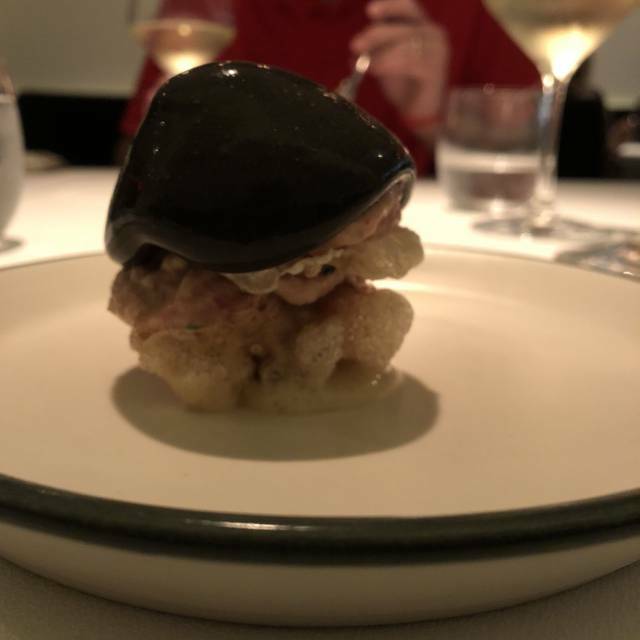 If The Pass prides itself to serve top gastronomy, it should step up their game and go back to the quality they offered when they first opened. For the price you pay, it's only fair to expect top quality service and decent amounts of wine. We miss the nice evenings when we could enjoy the 8 course dinners at a relax pace and the place wasn't empty at 9pm! This was our first visit to The Pass and won't be the last. The food was fantastic. We opted to not go with the wine pairings and instead ordered by the glass. The server was very knowledgeble and helpful, offering fine choices. Dessert was off the hook great. Ambiance was great. The food was very good. 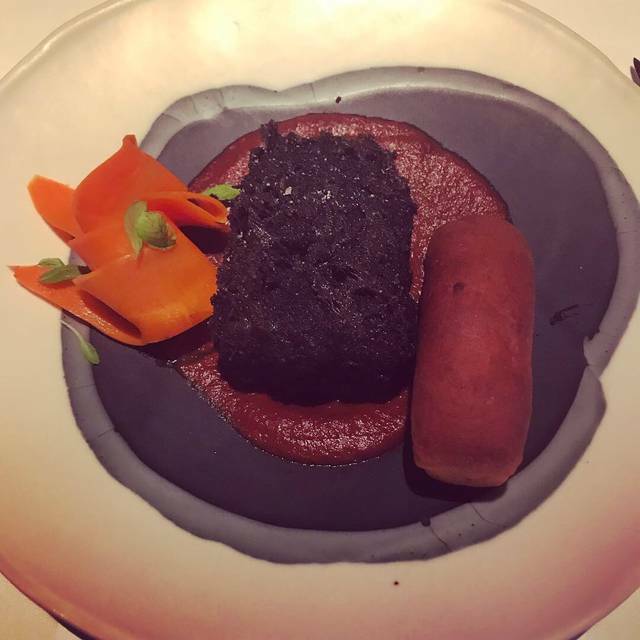 The butternut squash bread course was an absolute must even though it is an additional cost. We've always had a fabulous time and a great dinner here. This was just as amazing as always and the service is exceptional! The Pass provides a fantastic dining experience. The food was fantastic and the pace was perfect. Very special but the food wasn’t exquisite. A lot of it was overlooked or just tasted off. Very interesting ingredients. Amazing food amazing service. A little pricey if you add the extra 2 dishes and the pairings, but you know what to expect in regards to price. The service was extremely fast once a dish was finished there was a comfortable amount of time before the next was served. All wines paired perfectly with the dishes, the staff was very educated in the sourcing of the wines. A definite must try if your looking for a truly unique experience. I have never had a bad meal here. They truly make food and dining interesting and every experience here is truly unique. The staff are very courteous and very knowledgeable as well which makes the experience very worthwhile. It is a nice place for your special event. The food is great. The place is quite. The service is excellent. Took my girlfriend to The Pass for her birthday. It was our first time there (we had eaten at Provisions before). The Pass was an amazing experience. Excellent and warm service from the staff. Quiet atmosphere. The food was better than I could have hoped for. Delicious and filling. The drink pairings made it an even more unique experience. I have zero regrets. My gf and I wish we could dine there every night. We felt kind of bad that we were the last ones in the restaurant, but the staff was still respectful and kind. It was the best experience!!! The food and wine were excellent!!! Looking forward to returning. We celebrated our 39th wedding anniversary with the Tasting menu consisting of 7 different tastings to include the wine pairings for me and cocktail pairings for my wife. The Grille Oysters were delicious and the Summer Salad was delightful. Next we had the Butternut Squash Bread which had Reading Raclette cheese melted in the center and it was undoubtedly the best squash we have ever had. 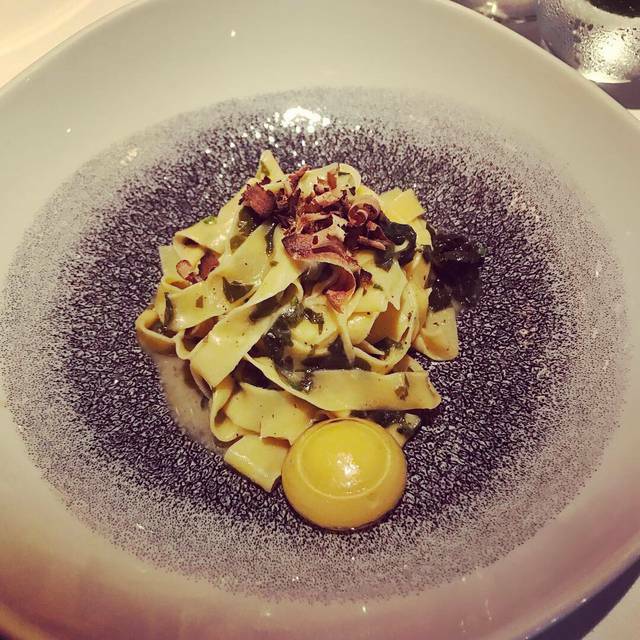 We calmed down with Chips and Guac containing Avocado, smoked Trout roe and Picked Red Onion, then had the Tagliatelle with Uni and Abalone along with Miso and Seaweed. The latter tasted much better than it reads. We finished the main meal with the Duck Breast tasting containing Chanterelles. 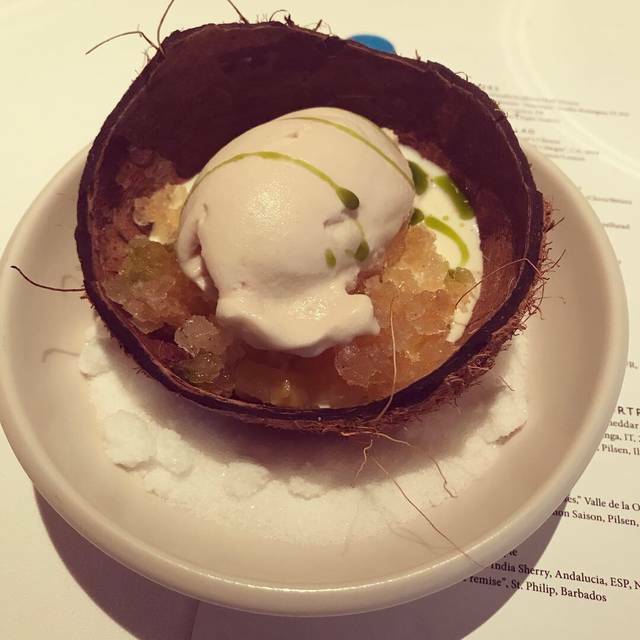 Finally we ended our meal with the desert called Coconut which was made of Vanilla, Kaffir, and Grilled Pineapple. Now each course had wonderfully matched wines or cocktails so we were very satiated and satisfied by the end of our meal. Great food and service with the kitchen very transparent so we could watch the pros making these delicious tastings. We highly recommend THE PASS and note that the tastings change all the time so you won't get tired of the same food each visit.. Truly exceptional. A meal beyond all expectations. Expensive - but worth every single penny. A dining experience not to be missed. Everything from the ambiance to the staff to the food was excellent. The attention to details was clearly visible. This was our first time at The Pass, and I hope it won’t be our last. The Pass is a pleasant experience all around. Noise does not carry over from The Provisions. The tasting menu and wine pairing are excellent. My only negative is the tables were a bit large so it was hard to hear my date. What an experience this was! Highly recommend this hidden gem. Great service and fantastic food! delightful! Perfect service and the food was amazing. This is a great place to celebrate and enjoy culinary perfection!! Highly recommend. I know this place has been around for awhile (5/6 years) but with a 2 and 5 year old at home, we are a bit out of the loop these days (literally and figuratively.) A work friend suggested this place to celebrate my recent birthday and I am so glad they did. Dining here was AN EXPERIENCE. The service was, hands down, top of the pile. I was also delighted with the menu which was unique. 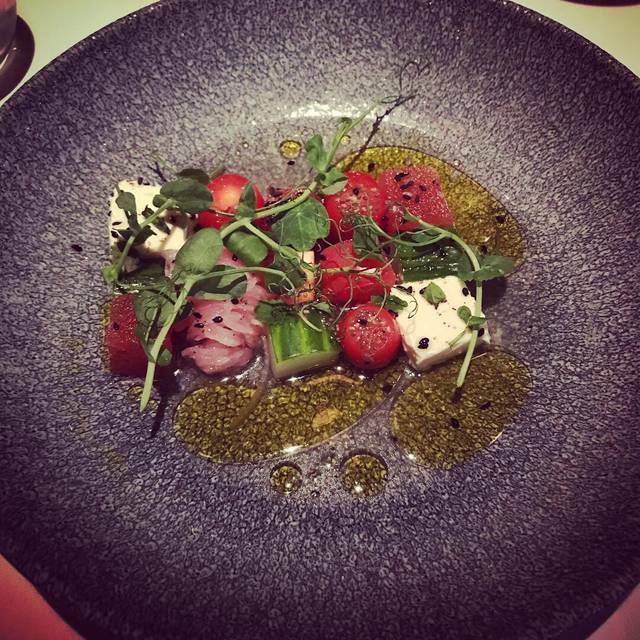 My favorite things were probably the goat cheese, watermelon, tomato salad & the coconut ice cream vanilla dessert. Without reservation, I would also recommend adding the wine pairings to your meal. Loved kicking off our dinner with the Champagne and Oysters as well. Can't wait to come back and discover what other treats the chefs/owners have in store. We had not been back to the Pass, for some time, but I’m scratching my head as to why that is. Food, service, ambiance were all top notch. Nice view into the kitchen is always fun. Quality and creativity of the food were excellent. Tasting menu was not too much food and we left “just right.” We tried the cocktail pairing (actually not just cocktails on it) and it was spot on. Room was great for conversation.